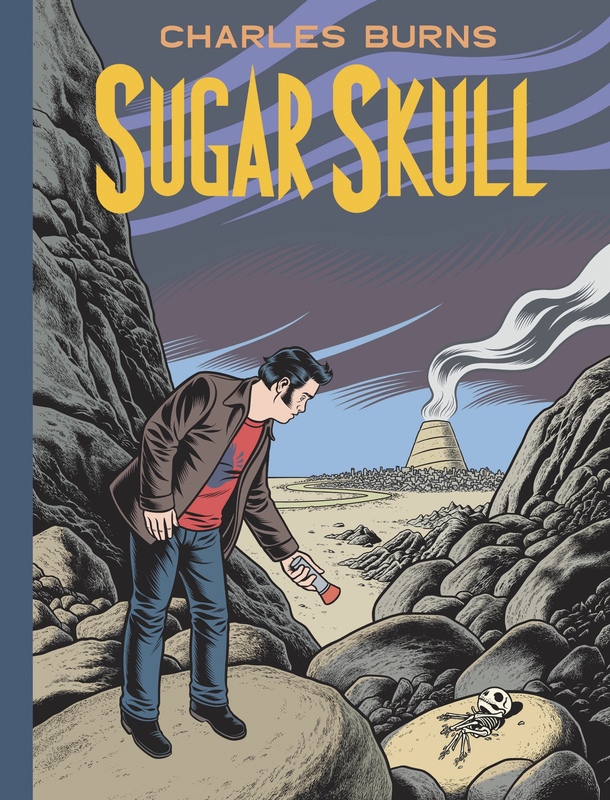 Sugar Skull, Part 3 of Charles Burns' trilogy, is a comedown of sorts. Had to read all three parts again, by the way, as memory fails. While both X'ed Out and The Hive were kinda hallucinogenic and mesmerizing in a typical sick and dirty way Burns is known for, Sugar Skull is much more open and sad. It has a NIN Hurt-like halo around it. With no new nasty creatures (well, not entirely true), this time pieces of the puzzle mostly include real people, their fears and pains, poorly drawn plans and hastily made decisions. The dream ends, and it ends, and it ends. Still, to be fair to myself – it took Burns a while to make this book – and this trilogy is indeed a great piece of comic literature. Not sure whether it is a success commercially, but personally, I was waiting for the book to come out – as I will for next one. 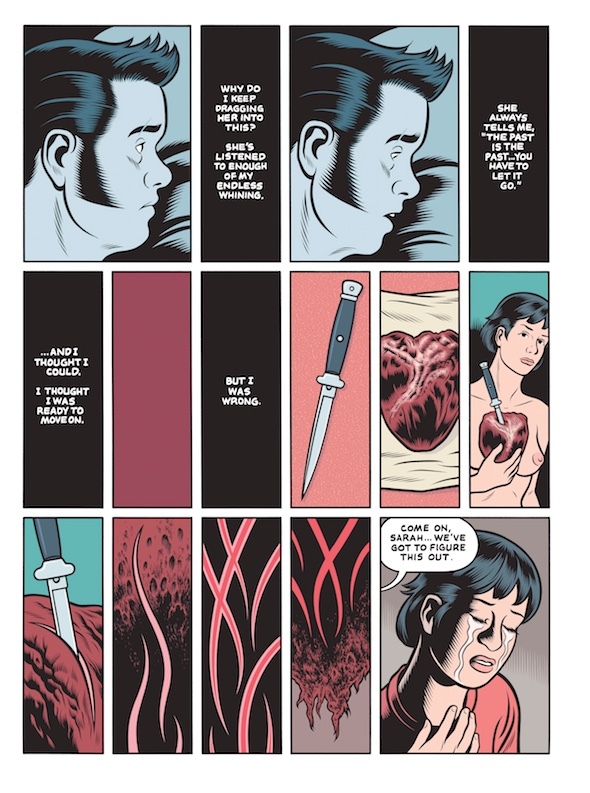 Here's a quick interview with Burns from The New Yorker, where he speaks on Herge as his inspiration – and it gives tons of page scans as well. And damn, I need to make sure I read all the Tintin books one day!